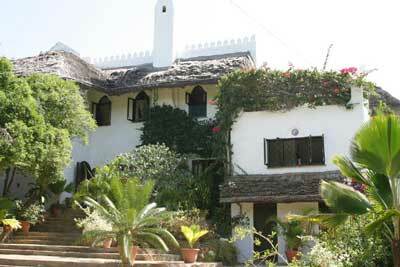 Amani Beach House is a Lamu-Style home located on the unspoiled white sand Mida beach in Watamu, Kenya. 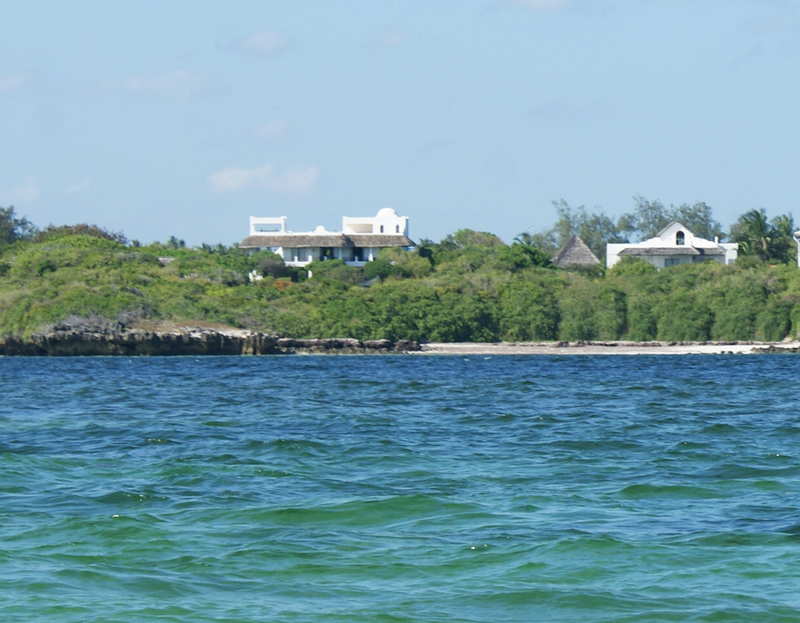 With private access to the beach below, Amani, suitable for up to 8 persons, is available as a three-bedroom property with a further bedroom in an outer guest cottage. 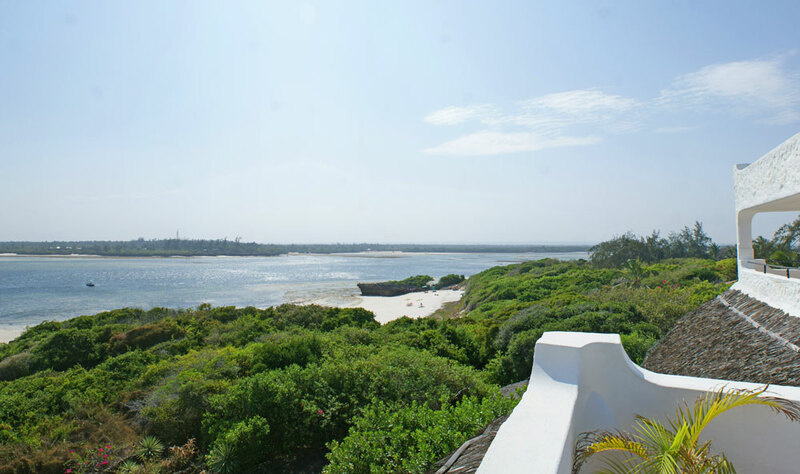 The property has a large swimming pool and the most unrivaled views over the mouth of Mida Creek and out to sea from the magnificent roof terrace that is available to tenants for quiet relaxation, sundowners or dining under the stars. 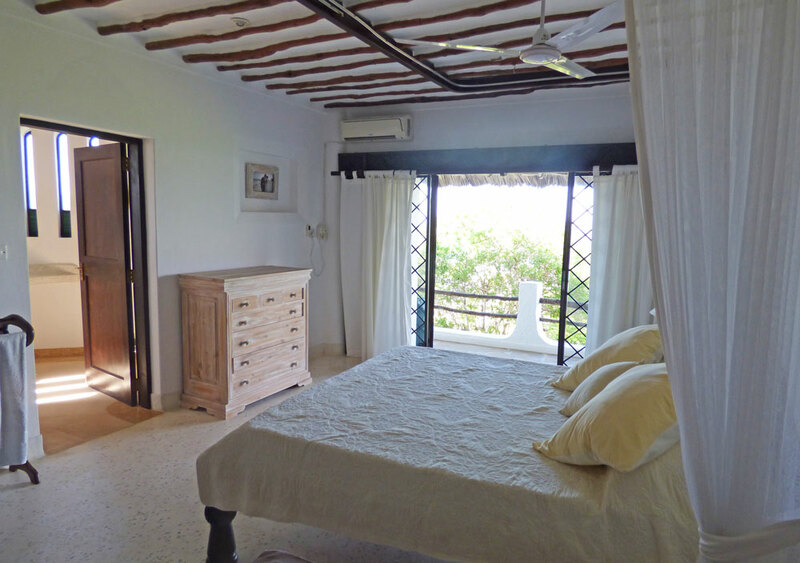 Bedrooms/Bathrooms: In the main house there is a master double bed on the ground floor, with en-suite shower room, remote control air conditioning, large mosquito nets and a fan within the net. 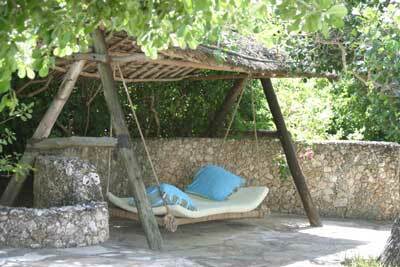 A second, a twin-bed room with separate shower room also has air-conditioning, mosquito nets and a fan within the net. A second double room has also become available. At the back of the house is a further twin-bed room in a guest cottage (can sleep up to 3 guests by arrangement) with en-suite shower room, remote air-conditioning, mosquito net and fan within the net; there is also a small refrigerator, kettle etc for early risers to make tea. (Kindly note that the upstairs bedrooms are kept for the owners use only and bookings are only taken when the owners are up-country or abroad but a bedroom upstairs with double bed, en-suite shower room, remote control air conditioning, large mosquito nets and a fan within the net can be made available if required). Kitchen: The kitchen includes oven cooker, hob, fridge/freezer, drinks fridge and microwave. Jackson is the resident cook and has been with the owners for over fourteen years. Living Rooms: On the ground floor is an indoor sitting and dining room as well as a large outdoor veranda with a further dining area used for breakfast. 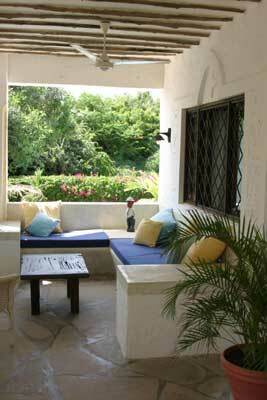 A baraza style sitting area is featured with plenty of fans to keep you cool. Roof-terrace: reached up a tower staircase, a huge roof terrace gives commanding views out to sea. 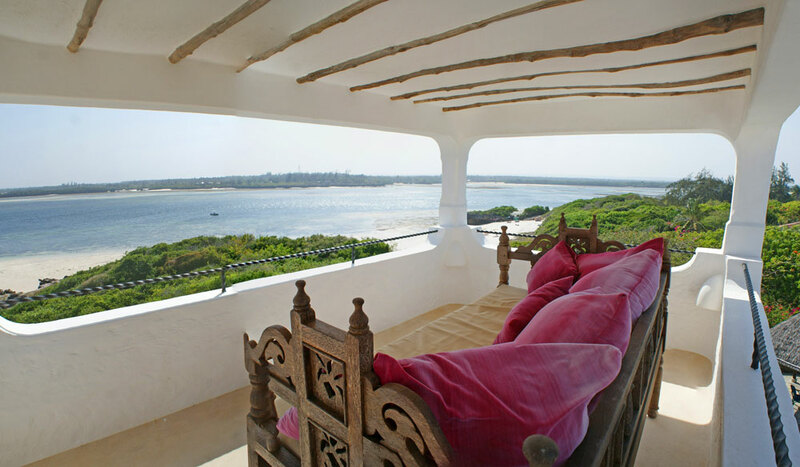 Simply wonderful for sundowners and evening meals, there is also a covered snooze zone perfect for a quiet morning cup of tea or coffee and also excellent during the day for quiet reading or relaxation. Pool: Aside the pool is a thatched banda, fans within to keep you cool while having a comfortable snack lunch or relaxing on the sun beds . David is your pool attendant who will also help Jackson for dinner in the evenings. Garden: The garden is totally private albeit is shared by Atlas a calm and very friendly Rhodesian Ridegback and Cleobatra his somewhat small lady friend of dubious parentage. Anyone not liking dogs should look elsewhere as these two will love your company! Cleaning/Towel/linen/Maid Service: Florence is the resident housekeeper and again has been with the owners for many years. She will arrange daily housekeeping as well as clothes and linen washing. 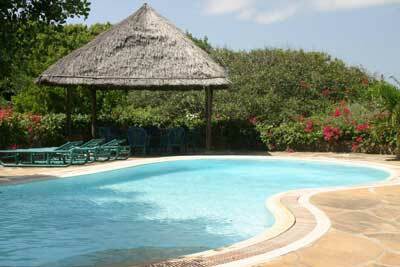 Separate pool and bathroom towels available. Bedroom linen is all provided. Security: 24hr security including a night-guard is provided. Back-up power: Kenya is famous for its power cuts! Amani features a huge 27KVA generator to cover the problem. Other: We regret that Amani is not suitable for wheelchair users. Please note that there are dogs on the plot, shared with the neighbouring property - they are for security and no other dogs are allowed on the plot. 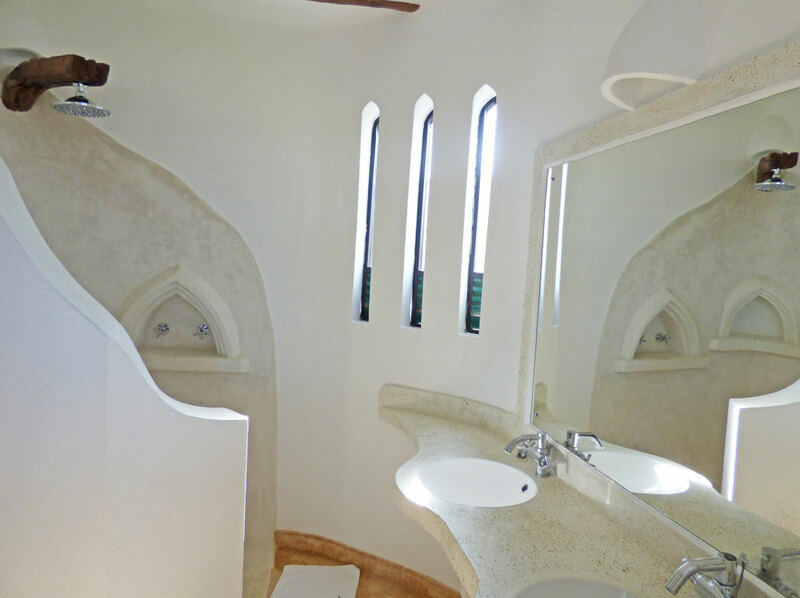 Fitted Mosquito net – Overhead Fan – Air-conditioning – Ensuite shower room.